Selling real estate in Montreal was much more stressful and difficult than selling in Winnipeg. The politics in Quebec are embarrassing, to say the least, and many people were apprehensive about buying. The law is different than the rest of Canada, and by different, I mean unnecessarily complicated. I had two offers fall through and thought I'd never get out of there. Ultimately, things worked out well. I cried when I left Winnipeg and thought I would be equally emotional when leaving Montreal. I was mostly just relieved. Besides some great friends we made there, what I'll miss the most is our home. It certainly wasn't our dream home but we made it as cozy as we could. I can't complain about anything though. Alex and I are so grateful and happy to be reunited for good. Our time apart was longer than anticipated and it was tough. At first, we were both so busy that the time flew by, but the last few months dragged. While there were plenty of good things that came out of being on opposite sides of the continent, we've vowed never to attempt it ever again. Your old home looks amazing! You'll fall into place with the new SF home and I'm sure it will look just as fabulous. When I found your blog you guys were traveling the world. I'm glad it's still around and hope you'll continue to share your adventures, wherever they may be. This looks lovely and I love the closing about finding a new appreciation for home. Aubrey - Thank you for all the kind comments you've been leaving over the years. You're really sweet. Kathleen - I'm glad it resonated with you! What a coincidence-did you have your bed up for sale on kijiji Montreal recently? I saw the ad and thought what a nicely styled photo, so you're doing something right. Fantastic, your place looks stunning! 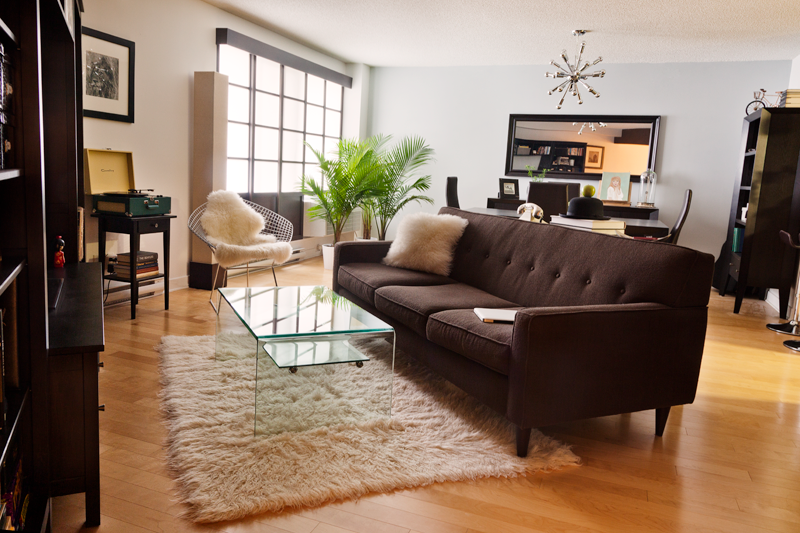 Love the simplicity of your home in Montreal but loving much more that you're finally in S.F. Welcome home!